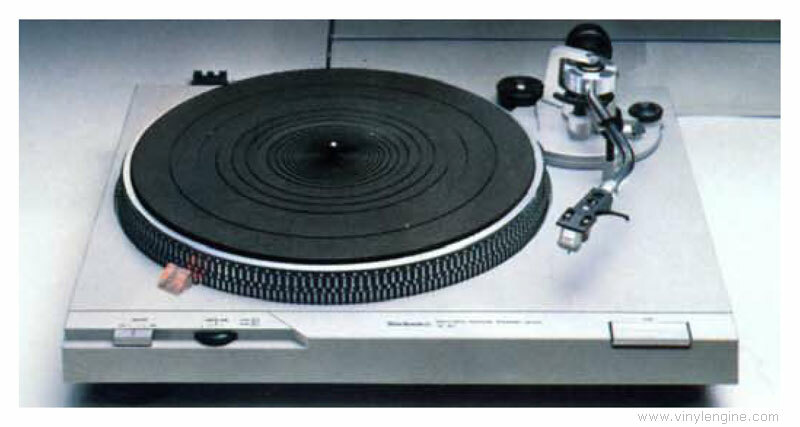 Technics SL-D2 / SLD2 owners manual, service manuals and schematics are for reference only and the Vinyl Engine bears no responsibility for errors or other inaccuracies. The PDF files are provided under strict licence. Reproduction without prior permission or for financial gain is strictly prohibited. This website is not affiliated with or sponsored by Technics. Posted Sun, 07/24/2011 - 20:28 by mayoryin. Posted Sun, 06/26/2011 - 07:19 by SAJ. My SL-D2 still works like a champ and I love it except one bad habit it's showing lately. At random times the pitch changes up or down, and when I try to adjust it the pitch control acts hypersensitive. An almost imperceptible movement swings the pitch wildly, and it's really tough to get it to stabilize. Does this sound like a dirty potentiometer, or perhaps something else with some built-up crud after 30+ years? Or is it a failing part that must be replaced? Can an untrained but game layman fix it, or do I have to hand it over to a pro? Posted Fri, 06/17/2011 - 01:30 by mayberryismyhome. I picked up this turntable at Goodwill today for cheap. Polished the cover which had no cracks or serious scratches. Just did a general cleaning, installed and set-up a new ADC cartridge, balanced the arm, set the tracking and anti-skate, and took a trial run with some of my favorite vinyl. It was simply delightful with perfect pitch. I wasn't used to that with my old Thorens. All the automatic features worked great, and it shuts off automatically. Some things old are not so bad - it's a lot of fun. I think I'll keep her for a while. Posted Mon, 04/11/2011 - 11:23 by jameswillett. I recently bought an SL-D2 for very cheap and i love it except for a speed issue. When turned on, the platter spins very fast, much faster than 45rpm, and after a little it will slow down to whichever speed is specified on the switch. after that, as long as i keep it on, the speed is very accurate. the longer i leave the turntable off, the longer it takes for the platter to slow down to the correct speed. i read that i might need to replace some capacitors, and the fact that leaving it off longer increases the effect makes that part clear, but im not exactly sure which i need to replace. i havent opened it up so i dont know if it will be obvious or not. is there a schematic available/does anyone know specifically which component numbers i need to replace? thanks! Posted Fri, 03/25/2011 - 14:09 by crfeig. Why have different inputs moving coil or magnet. I used to sell both types in the '50s and 60s and all the preamps from my Marantz 7 on down didn't differentiate between the two. I was thinking of adding a new cartridge to my collection. How do I know what is compatible with my Marantz tube equipment? Posted Sat, 03/26/2011 - 02:59 by Whitneyville. Ricky-Pooh: Follow along on me, and I try to make it very simple. Moving Magnet (MM) cartridges have output from about 2.0 mV to 10.0 mV, similar to a standard dynamic microphone level. High-Output Moving Coil cartridges have similar outputs, but today there aren't as many made. Low-Output Moving Coil cartridges have outputs of about .1-.5 mV, and these are like the Audio-Technica AT-09CIII,the Benz Micro TR MC low output,Some of the Clearaudio cartridges,Grado Statement,Denon 103 series, and lots more. The low output MC cartridges take a special higher gain phono stage or pre-amp. Any Moving Magnet cartridge should work fine with your equipment. Some High output Moving coil cartridges will work, depending if they are designed to work into a 35-50K Ohm impedance or you'll need a "matching transformer". A low-output moving coil cartridge will need either a "Step-up transformer" (like Denon sells) or a low-output Moving coil pre-amplifer, that will usually run into a "line level" (tape, CD, aux,) input. You can find more information on the Cartridges and Pre-Amp Forum. Posted Thu, 03/24/2011 - 19:09 by b1j. I'm getting ready to set up my SL-D2, and I found a couple of items in the box. One is the overhang gauge (whew!). The other is the original AT96E cartridge I bought with the turntable in 1980. Recently I bought a new Shure M97xE moving magnet cartridge, after doing some research online. I've already forgotten what moving magnet means, or why it should be the better choice for the SL-D2, but that's what I took away when I did my reading. Anyway, the AT96E, it says, is a "dual magnet" cartridge. The manual says each magnet reproduces the signal from one side of the record groove, "thus maximizing stereo separation." 1) Is one of my cartridges better than the other? 2) Should I plan to use both of them? Maybe one for records in perfect condition and the other for slightly aged records? 2a) If I'm going to use both cartridges, I have only one headshell. Where can I get another one? 3) If I'm going to use the AT96E, where can I get a replacement stylus? Posted Fri, 03/25/2011 - 07:02 by Whitneyville. Ricky-Pooh: Most people would say the Shure M97xE is superior, especially with a JICO "up-grade" SAS stylus. Expect to spend some money for it...maybe $200+ and it's "out of stock" most places now. Good news and better news is www.LPGear.com has a "generic" replacement elliptical .3x.7 mil stylus for $34.95 (ATSAT0096E), or for an "upgrade" they have the ATS12S genuine Audio-Techinca "Shibata" stylus for $59.95. The Shibata shape tracks the groove better, and maybe causes less record wear. Your new Shure is an elliptical, .2x.7 mil (smaller is better). "Moving magnet" is the construction and the output level (broadly speaking) and is what both the Shure and Audio-Technica are, just built by their own methods. I'd definitely pay $35 for a direct replacement stylus for your original A-T cartridge. The two cartridges will sound differently, and many people use one cartridge for "X" type of music and another for "Y" type of music. LPGear has a "universal" type headshell (which is what you need) for $12.95, $19.95 and $49.95, the differences being in the construction materials and the actual weight of them. I'd pick the $20 hoping it might be lighter, and better than the $13 one, but not be $50. I've done lots of business with LPG, and am a very satisfied customer. Now that I've baffled you with "information overload", there are many other on-line stylus dealers, like Needle Doctor, Garage-a-Records, and lots more, but I hope you can see you have several very good choices. Good luck and enjoy some vinyl! Posted Thu, 03/24/2011 - 18:38 by b1j. I'm resurrecting my SL-D2 from 25 years of storage. Somewhere along the line, one of the tabs at the back of the dust cover snapped off. I did a quick check for parts online and found one on e-bay for $100. I do not use e-bay and I think the price is silly. Does anyone know where I can find a dust cover for less than $40? Thanks. Posted Thu, 05/05/2011 - 19:14 by bob59. I had the same problem with both hinges. So I did away with the hinges and used a product called no nails sticky tape for the hinges and superglued a couple of perspex strips to the back of the hinge holders to enable the lid to be proped open without falling backwards. The tape is a super strong tape but not to bulky. Its a bodge but in reality it hardly notices and in my opinion is better than spending a fortune on another lid. Not to everybodies taste but works. Posted Wed, 03/30/2011 - 13:22 by mjcmt. Posted Fri, 03/25/2011 - 06:19 by Whitneyville. Ricky-Pooh: If you have the broken piece still, a trip to a plastics supply house will get you some solvent-type glue for about $6. If you don't have the piece, a plastics fabrication shop can repair it for less than $40, although it might not be pretty. It's on the back and probably won't be that obvious. I've repaired a couple of dust covers, and after buffing them out with plastic polish (Novus 1 and 2) , both people swore I had gotten them new dust covers, and I'm not a "plastics" guy. For $30, nearly two years ago I took a shattered dust cover to the plastic supply/fabricator I use, and when they were through, I could just barely see the seams, when the light hit it just right. The guy I did it for was delighted,as his dust cover was going for about $200 on feeBay (old Dual). Check your Yellow Pages for PLASTICS, Fabrication and supply. Posted Mon, 03/07/2011 - 21:38 by Bailey2005. first of all I am so glad I found this website, it seem so awesome and I can feel the friendship around....In advance thanks so much for the help that I will need from all of you from time to time...Now I have a question , I just purchase on the weekend this TT SD2 ( I think I did get a good deal I paid $ 150. and the guy I bought it from gave me 26 LPS in very good condition 70's music...my music lol) , and I have hooked it up to my Receiver ONKYO TX NR3007, the sound is good but I think this TT can give me more. I am completely ignorant on TTs and forgive me for my questions I've been reading quite a bit and couldn't find anything related to changing the needle( needles to said that the SD2 came with the original cartridge and condition of the Turntable 1-10, I will said is 9 everything seems to be perfect just the cover needed some cleaning but other than that everything is ok ). I found this Ortofon Concorde Pro S Cartridge with the Stylus, and I was wondering if this is suitable for my SD2 . or if you can recomed any other brand and model of stylus for my TT. Posted Thu, 03/24/2011 - 12:44 by mjcmt. I did a lot of on line research and I think the best cartridges for a D2 in the $100 range would be the Ortofon 2m Red or Audio Technica 120 E. For less and around $80 the Ortofon SuperOM10, which I had, offers superb performance. Posted Tue, 03/22/2011 - 19:02 by mjcmt. I just purchase my second D2 after selling my first one 6 months ago. I love these TTs - about the best budget TT out there for this kind of money. My set up is now different. I used an Ortofon Super OM10 with great results on the first D2 on a pretty high-end system. My latest D2 has a budget Audio Technica DR200E and it sounds clear, punchy and fast in a lower quality vintage system. I would also like to know which way to go to advance my cartridge, thinking of a Shure. So chime in folks with what you are using. Posted Tue, 02/08/2011 - 23:59 by MartinF45. I just purchased an SL-D2 that appears to function in all ways except the Anti Skate knob doesn't rotate. arm heads for the spindle as soon as you set it on the record. Posted Thu, 02/24/2011 - 05:57 by Glen Carmichael. Have you tried cleaning the knob mechanism? Perhaps a little contact cleaner (DeOxit) and some wiggling. Posted Tue, 10/12/2010 - 16:45 by foxeyladyo1. I recently decided to revisit vinyl. My 1979 Technics SL-D2 needed some work because it had not been used in 15 years. I took it to Audio Lab in Cambridge MA. Within two days, they evaluated the necessary work and provided an estimate. I can pick up my repaired table this weekend. 1 week turn around because they had the parts. Very reasonable pricing. If you do not live in New England and your area does not have a reliable repair company, call them. They have a website. Posted Tue, 10/12/2010 - 14:25 by PabloPortela. Mis amigos, soy de Argentina y necesito de su ayuda. He comprado una SL-D2 y comencé a disfrutar del sonido increíble del vinilo, pero necesito reemplazar la cápsula. Me podrán recomendar cual utilizar? Muchas gracias! My friends, I'm from Argentina and I need your help. I purchased a SL-D2 and I begun to enjoy the great sound of the vinyl, but I need to replace the capsule. Can you help me, which the best...Shure N44C? Many thanks! Posted Sun, 02/27/2011 - 16:30 by gustavfx. Posted Mon, 01/17/2011 - 23:05 by DJEsteban. Hola Pablo, la cápsula mas aconsejable para la Technics SL-D2 es la Shure M55 EM, tengo la misma bandeja con esa cápsula y suena precioso, otra opción es la Ortofon night club pero es demasiado cara y está mas que nada pensada para DJ. Si sos de querer la original del modelo, ésta es la cápsula Technics 270CC, la venden en MercadoLibre a 360 pesos, de ésta cápsula no puedo hablar porque jamás la usé, me han dicho que suena muy bien. Aunque para redondear un sonido poderoso y de calidad es también muy importante tener un buen amplificador y un buen par de parlantes, si es posible que sean de la misma época que la bandeja (79-80). Saludos y espero haberte podido ayudar, cualquier cosa podemos hablar por otro medio. Posted Wed, 08/18/2010 - 21:07 by lignumopus. Had this turntable from new over 20 years ago.....just beginning to appreciate it now within a fully active (aktiv) LINN DS System. And of course........thanks for the manual! Posted Sat, 07/17/2010 - 16:24 by rniev. Ive owned a Technics SL-D2 turntable since the early eighties. It has always worked great until just a few weeks ago when the platter just stopped turning. I really love this turntable and would hate to have to replace it. Technics informed me that they no longer service the SL-D2. Any ideas on how to fix this? Posted Tue, 07/26/2011 - 03:29 by Lincoln. Mine too. Did you find a solution? Mine powers up but the platter does not spin, or even hum or anything. Posted Wed, 07/07/2010 - 10:25 by artmanxxx. Great to have a copy of the manual. Now feel more confidant setting up a friends SL-D2. Posted Mon, 05/31/2010 - 04:32 by avelho. Thanks for the Manual, this turntable is very good with old cartridge Shure M44C(new unit N44C) the sound is great!!!! Posted Sat, 05/08/2010 - 20:51 by 011mbarnes. So after reading through the various comments, I figured my problem to be the same as others: I was trying to use a turntable with a contemporary system w/o a phono preamp. Now that I've got that figured out, any suggestions? After looking around, I've seen such contradictory opinions, I'm not quite sure what to get, and how much money is necessary. Posted Mon, 05/10/2010 - 03:42 by Whitneyville. Posted Sat, 05/01/2010 - 14:53 by walodotbiz. Many thanks to Vinyl Engine for the owner's manual. I've picked this turntable from a swap meet 10 years ago. I am using an Ortofon Pro S cartridge and it sounds great! Posted Fri, 04/23/2010 - 03:56 by Brown. I also have a SL-D2 and am not able to produce any sound (very slight at high volume) out of the turntable. I have hooked the turntable up to several different receiver phono inputs with the same results so I do not think the receiver input is the issue. Any ideas? Thanks. Posted Fri, 04/23/2010 - 12:19 by JaS. What receiver have you tried? Also what cartridge do you have fitted? If it's a moving magnet cartridge you'll need a dedicated moving magnet turntable input (marked MM), but if you have a low-output moving coil cartridge you'll need a moving coil input (marked MC). Neither type will work directly into Aux/CD/Tuner/Tape inputs as the cartridge output is too low and requires RIAA equalisation. If you're happy that the receiver input is of the correct type and working then it only leaves the cartridge or wiring? Posted Mon, 04/19/2010 - 02:40 by mbruesehoff. My college buddy just gave me his Technics SL-D2. Has seen many a San Diego college party (circa 1980-83). Anyway, I am trying to hook it up to my older Onkyo receiver (using VIDEO 3 audio) and I just barely get any sound when I crank it to MAX. What am I doing wrong, *OR* what should I check for? The turntable seems to be in great working order as it has sat in a garage for 20+ years. BTW: This site is the bomb.............thanks for the "original" Users manual. Posted Mon, 04/19/2010 - 06:35 by JaS. You'll need to connect the turntable to a 'moving magnet phono' input to equalise the cartridge signal and boost it to line level - if your amp doesn't have a turntable input you could buy an-line preamp (just do a search on google for phono preamp). No sound from RIGHT channel! Posted Sat, 04/10/2010 - 08:07 by outsideworld. Just bought an SL-D2 from an antiques store for $15. Have replaced the cartridge, stylus and shell as the existing ones were badly eroded, however upon testing it, there is no sound from the right channel. Does anyone have any ideas for why this might be, and how best to trouble shoot this problem? I have examined the male RCA plugs and cleaned them, so I think the problem may be somewhere else, perhaps the deck or the set-up of the cartridge etc - I really have no idea though, as no prior experience with turntables. I just went to the Sydney record fair and bought a crate of vinyl that I'm dying to hear so urgent responses would be appreaciated. Posted Sat, 03/27/2010 - 10:58 by Old Rusty. With one simple download I'm up & running with an original SL-D2 owners manual. Thank you very much & keep-up the good work! Posted Sat, 03/27/2010 - 04:27 by dsw1958. You guys are awesome and provide a great service. There are many places to buy a manual but you provide it for free. Very nice! Posted Mon, 02/08/2010 - 17:19 by Dreamtwister. I just bought my first tt in ebay and i really want to thank you for providing these manuals! Greetings from spain. Posted Tue, 02/02/2010 - 23:25 by mmeyer. Thanks so much for providing this service -- I was totally surprised to see that a manual even existed after all these years. This has been a totally reliable turntable since my wife bought it originally in the early 80s. I recently installed a Shure M97xE cartridge that is doing a fine job for a very fair price. Posted Wed, 01/27/2010 - 11:11 by gerdga. I would like to thank this site for allowing a free download of the manual of this turntable which I was given. The information in the manual will assist in operating and maintaining this unit. Again, thank you and I appreciate it very much. Posted Sat, 01/09/2010 - 05:53 by ruben_cesar. Posted Thu, 01/07/2010 - 01:15 by Hunor77. Just wanted to say thanks, now finaly i can set up a new Stanton hheadshell to my SL-D2. Posted Sun, 11/22/2009 - 08:45 by guydbl. Thanks a lot for the notice and a little hello from Paris. Posted Mon, 05/11/2009 - 20:36 by un3ger2. When it comes to manuals, you're like having an automatic! thanks a lot for the manual. Posted Sun, 04/19/2009 - 18:13 by MassAppeal. Posted Sun, 04/19/2009 - 17:49 by nonereally. Just wanted to say thanks for the manual. It is appreciated! Posted Mon, 04/06/2009 - 17:14 by Cecil. 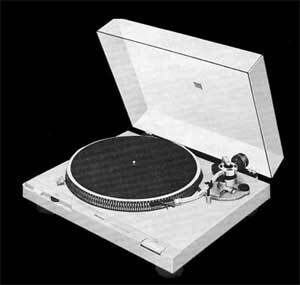 I just downloaded the manual for my Technics SL-D2. Thanks for the ability to download the manual. Posted Sat, 03/28/2009 - 01:55 by markch2. Posted Tue, 04/07/2009 - 01:34 by Beninski. What you pay for a new cartridge is dependent on many things as prices range from anywhere between $20 and $1,000 and up. The price you pay can depend on a great many factors. Is this a quality Turntable? Is your system one of high or lower quality. Are you an audiophile or an audio enthusiast? Perhaps you are just starting out with analogue sound. What is the condition of your record collection? conical tip for around $20. Posted Sat, 03/28/2009 - 08:30 by JaS. Posted Wed, 02/11/2009 - 20:57 by jadgraz. When I got this a few years ago I went on line for a manual and bought one from a source in USA so to download one for free is brilliant.